October isn't all that far away and that means only one thing: no, not Halloween. No no no. Stranger Things is back for a second season after waiting a whole year to find out what's going to happen to that spunky group of pre-teens. And to get us in the supernatural mood, there's now a pop-up bar that encompasses everything we love about Hawkins, Indiana, Eggos and Christmas lights. All these Stranger Things season two trailers are getting us psyched for October, but for those who aren't feeling quite so excited, you need to take a visit to The Upside Down. No, we're not banishing you to the world of Demagorgons and dead Barbs - it's a new pop-up bar in Chicago. The Stranger Things-inspired bar was created by Emporium Popups and is based in Illinois. You can enjoy a cocktail or two in the comfort of Joyce Byers' Christmas light-laden living room or maybe Will Byers' cute little fort is more your thing? 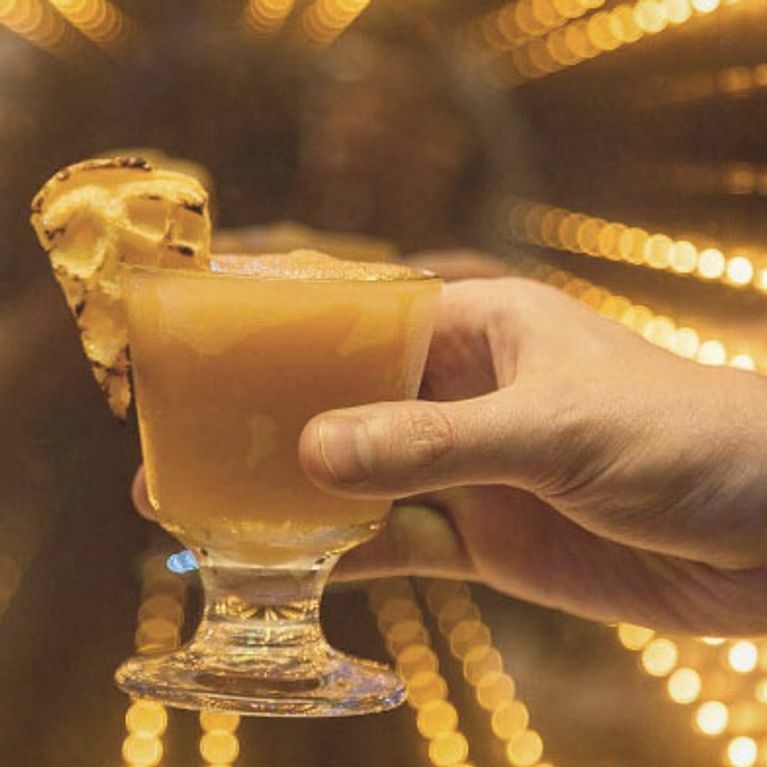 And speaking of a cocktail or two, the pop-up has alcoholic beverages that an of-age Eleven would love: try an Eleven's Eggo - a boozy slushie garnished with a real-life slice of Eggo waffle, or have a go on the upside down shot machine. If you haven't watched the series since it came out and you're worried that somehow you might not understand the meaning behind the feast of Eggos hanging upside down (of course) from the ceiling, then never fear - the bar is showing all episodes on a loop. So if you've got eight hours to spare and a hankerin' for some Eggo slushies, then hang around and catch yourself up. But if you can't get yourself over to America before the end of September, then pump up Michael Jackson's Thriller and get yourself to Edinburgh where The Upside Down pop-up will also be making an appearance soon - it's what Barb would want you to do.